Great news has come from MACUSA, Newt Scamander has been released and is coming home. This is lucky as his film is coming home at the same time. We’ve been sent over, approved, images as well as a great announcement feature to show you what to expect from when the film hits your own living room later this year. 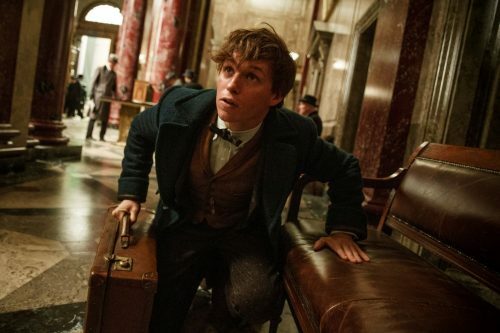 Immerse yourself in the wizarding world when “Fantastic Beasts and Where to Find Them” arrives onto 4K, 3D, Blu-ray, DVD and VOD on March 27th and Digital Download March 13th.“Fantastic Beasts and Where to Find Them” takes us to a new era of J.K. Rowling’s Wizarding World, decades before Harry Potter and half a world away. Academy Award winner Eddie Redmayne stars in the central role of Magizoologist Newt Scamander, under the direction of David Yates, who helmed the last four “Harry Potter” blockbusters.